@ 2043.554.35% Government service tax extra. 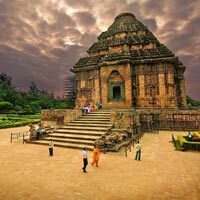 Enjoy sightseeing at Konark and later, drive to Puri with a stopover at Raghurajpur. 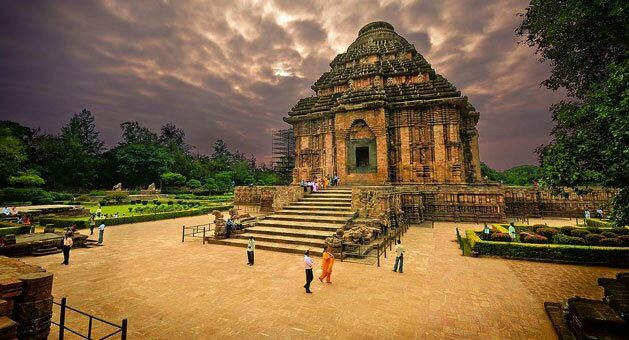 The Sun temple of Konark is one of the heritage sites of the country. 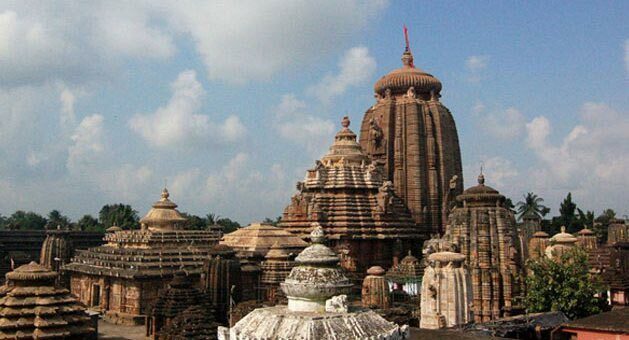 It is an epitome of Odiya architecture. The well-defined carvings on the walls of the temple and its structure that has been made in the form of a chariot, attracts tourists from all over the world. Raghurajpur has been declared as the ‘Heritage Village of Odisha’ and is the only place where you can witness the artisans working on silk, paper, betel nuts, coconuts, cow dung, coir and many such things. Many traditional patta painters of Odisha reside in the different parts of the village like Dandasahi, Nayakpatna and Raghurajpur. You can interact with some famous age-old patta painting workers of the village and know their style of work. Spend the night at Puri. Once you arrive at Puri, head out for an amazing sightseeing tour. 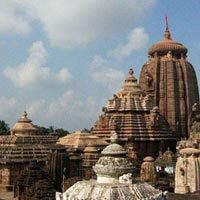 It is one of the four dhams of Hindus and has the famous Jagannath Temple and calls throngs of devotees every year. The idols here represent the three concepts of Hinduism: Brahma, Vishnu and Shiva. Every year, during the months of June/July, there is a Grand Chariot Festival here (Ratha Yatra), which beckons millions of people from all around the world. We will see the activities inside the temple from a platform, which remains closed on Sundays and local holidays. 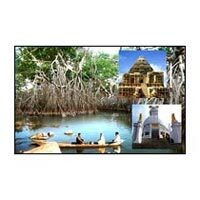 Later, drive to Chilika Lake, which is the largest brackish water lake of Asia. Here you can enjoy boating up to the sea mouth and spot some dolphins, especially the wild Irrawaddy dolphins. From the month of December until April, a myriad of migratory birds flock at this lake. You can also see the fishermen at work here. Later, drive to Taptapani and see some quaint villages of Odisha. Spend a comfortable night at Taptapani. please carry govt.issued photo id prof while travelling. pay to arrangement local guide.